Today I’m going to answer a question I get asked all the time . . . what does OCR stand for, what is it, and why should I care about it? Most legal documents today are scans that are saved in PDF format. That’s great in a lot of ways, like making it easy to send documents by email. The downside is that scans are images like digital pictures. This means you can’t search them like you would a Word document or web page. Let’s take a common scenario. A final contract is scanned and emailed to you. The scanner gives the file a jibberish name . . . Canon282716799339.pdf. Now what do you do? Most people save it in a folder structure and hope they’ll be able to find it later when needed. Maybe they rename the file with some kind of naming convention. That takes time. And it might get misfiled. And quickly this process becomes sign it, scan it, lose it. Sound familiar? That’s where OCR comes in. Below, we'll break down everything you need to know about OCR, from what it stands for to how it makes your life easier. So, what does OCR stand for? OCR stands for Optical Character Recognition. It’s a special kind of software that converts the text in scans into searchable text. Our solution, ContractSafe, automatically OCRs every scan to make it fully searchable. How does that help? 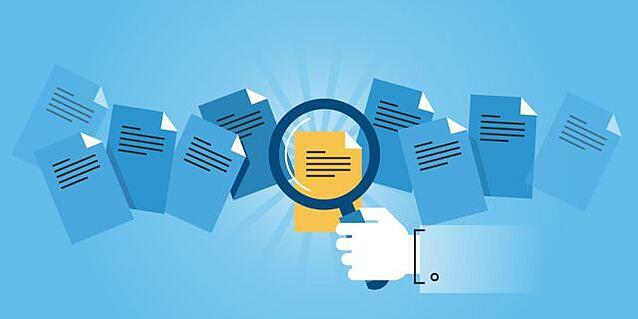 It means you can do a quick, Google-like search to instantly find any document you need. You want the confidentiality agreement with an employee named Lincoln? Just type “confidentiality” and “Lincoln” in the search bar and there it is . . . instantly. And, once you find the right document, you can search within it to find the section or information that you need. No need to click through 15 folder layers, and then click through page by page to find the info you need. We’ve tested this and it makes it up to 6 times faster to find what you need. How’s that for saving time and making your life easier! Now that you know what OCR stands for - and what makes it so useful - you might want to see it in action. Just visit www.ContractSafe.com. We offer a 7 day free trial. You can sign up on the site and try it immediately without any sales demo or special training.